In the 1860s there was another rush to mine a valuable resource – gold. 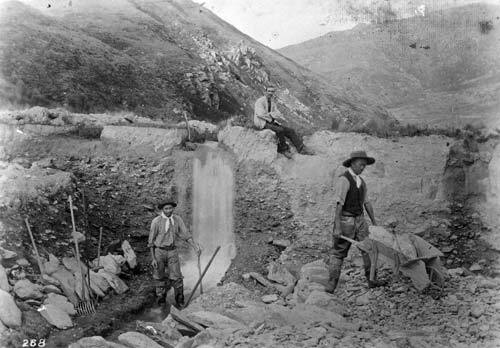 Europeans miners often took the quick pickings and moved on, leaving Chinese gold miners to work over the old areas. These two unnamed men are working with pick and shovel, watched over by a Presbyterian minister, George McNeur.